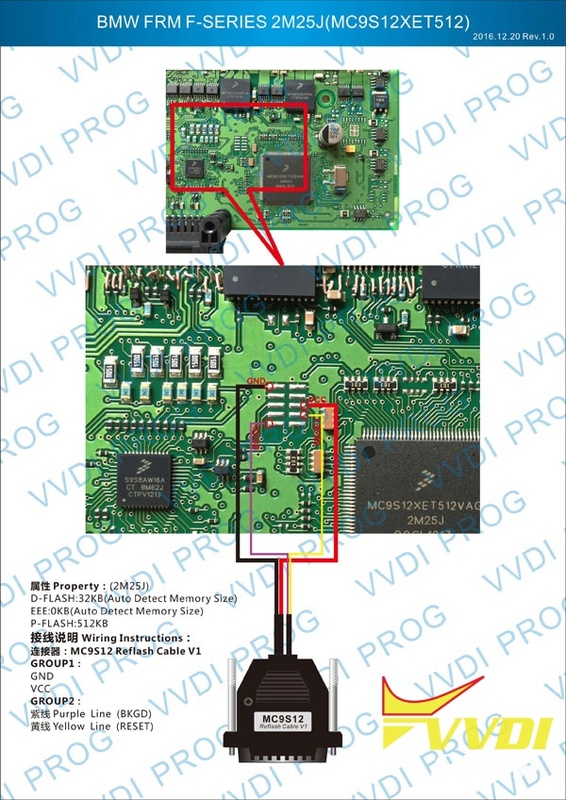 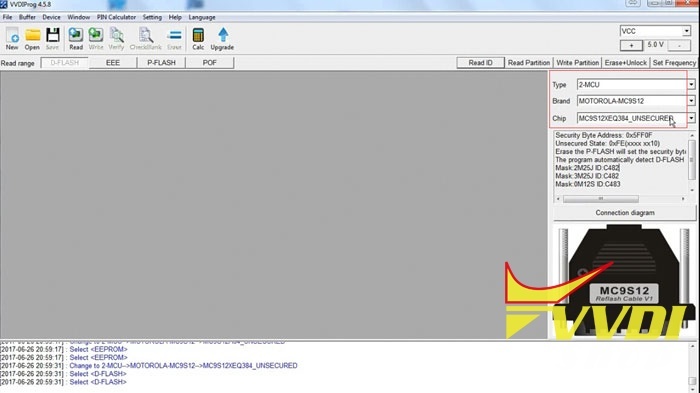 Here’s the guide to restore the original eeprom from Dflash to repair BMW E-series FRM (BMW Footwell Module) module by using Xhorse VVDI Prog programmer. 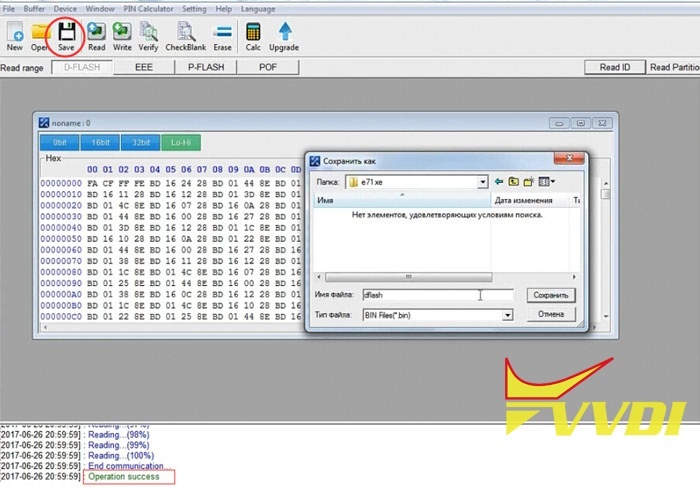 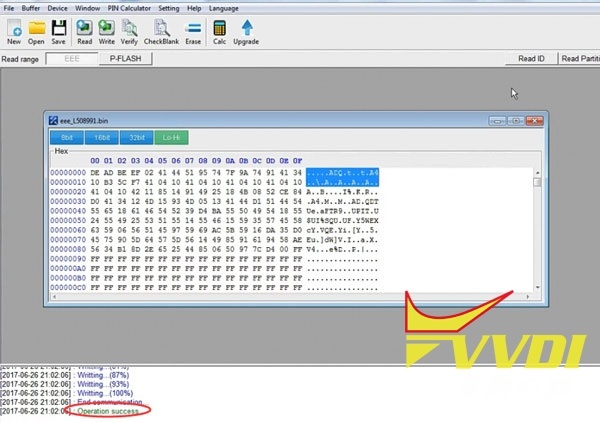 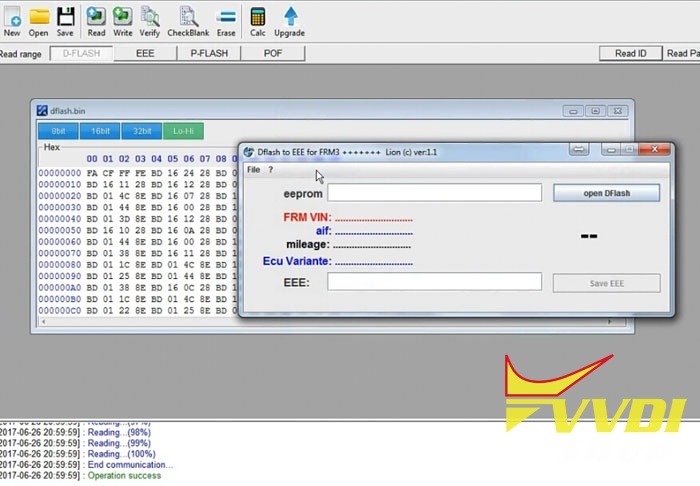 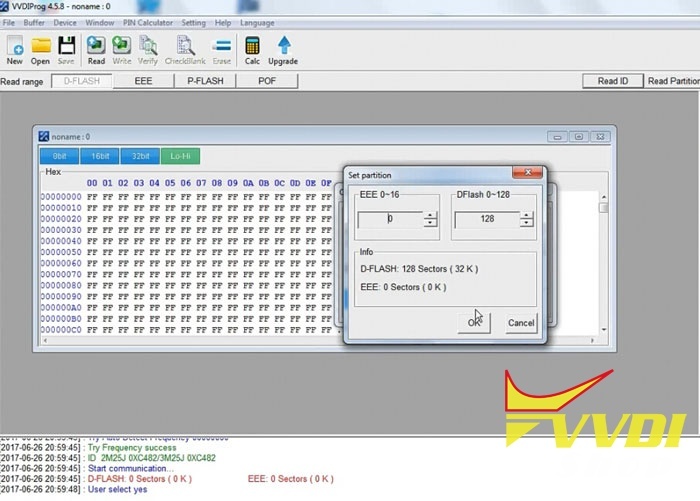 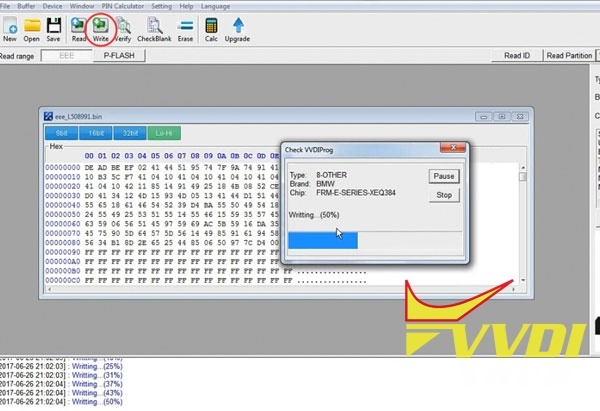 VVDI Prog adds FRM-E-SERIES-XEQ384 and FRM-F-SERIES-XET512 read & write options since version 4.6.8 (check pinout connection to VVDI Prog in the end of the post). 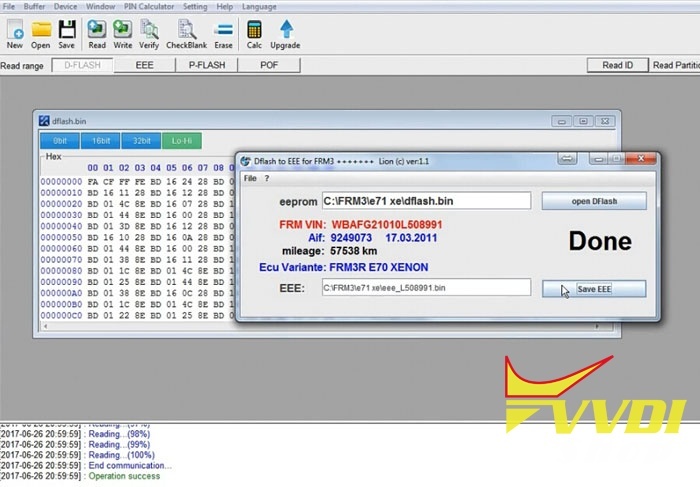 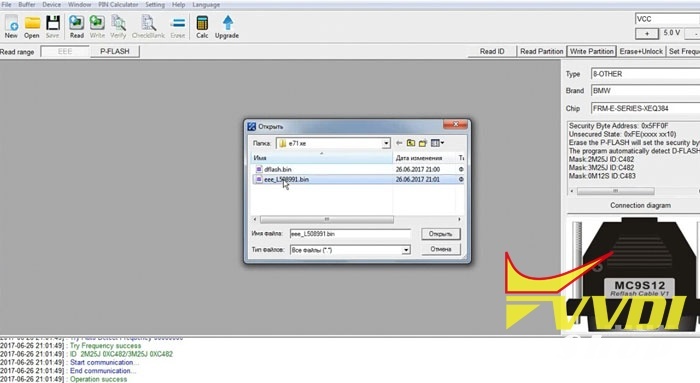 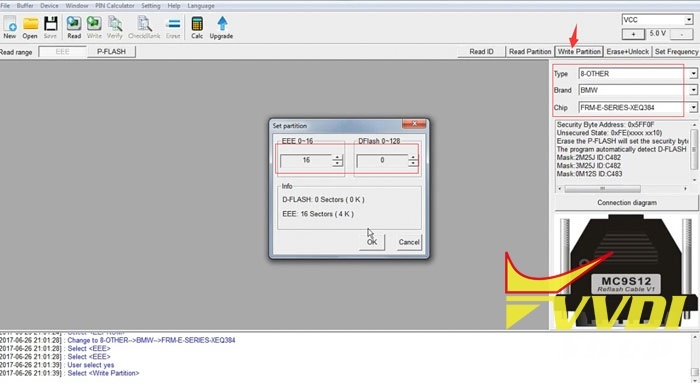 Then convert Dflash to eeprom. 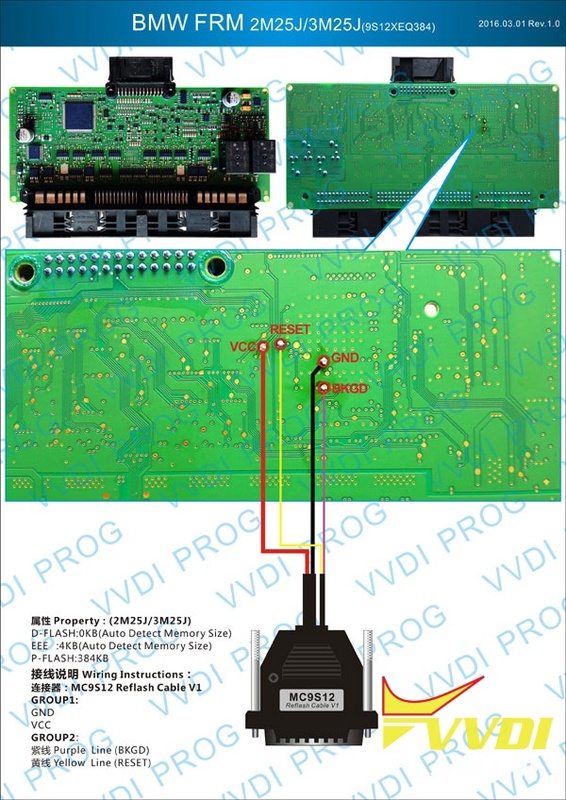 Install FRM module back to vehicle.